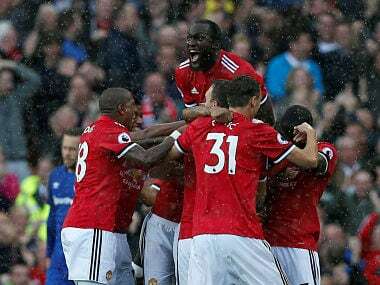 Manchester: Romelu Lukaku showed little room for sentiment on Sunday scoring one and creating another as Manchester United ran out ultimately comfortable 4-0 winners over his former club Everton to ruin Wayne Rooney's Old Trafford return. Right-back Antonio Valencia gave United an early lead with a spectacular half-volley before late goals from midfielder Henrikh Mkhitaryan — set up by Lukaku just before he got on the scoresheet himself — and an Anthony Martial penalty sealed the win. 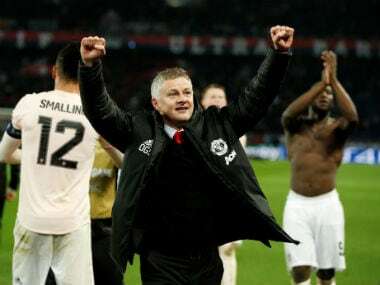 With United's rivals Manchester City having clinched a dominant 6-0 victory over Watford 24 hours earlier there was an expectation from United fans for Jose Mourinho's side to keep pace with the Premier League leaders. They are now only behind them in the table by virtue of C coming before U in the alphabet as they have identical records — Everton, by contrast, are in a crisis as they lost for the fourth successive match without scoring and are in the bottom three. 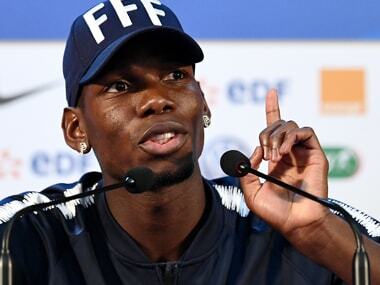 The Red Devils, without the injured Paul Pogba, were not as fluent and free-flowing as they have been in the early part of the season and three goals in the final seven minutes flattered them a little. Rooney, United’s all-time leading goalscorer, was afforded a generous reception by the United fans and carried Everton's main goal threat before he left to a standing ovation from the home supporters after being substituted with eight minutes left. Nemanja Matic swept a cross-field pass to Valencia on the corner of the penalty area and the Ecuador international, albeit afforded time and space by a flat-footed Everton defence, struck a sweet half-volley which arrowed high into the net. Rooney flickered into life midway through the first half when he sent Cuco Martina scampering down the right flank and then burst forward in search of the return ball. Martina’s low cross picked out Rooney on the edge of the penalty area but the former England captain could only strike a low effort wide of the post. United squandered an opportunity just before the half-hour mark when Juan Mata seized on Michael Keane’s misplaced pass and sent Lukaku clear but he shot wide. Koeman had demanded a reaction from his players before this contest having seen them slip to three consecutive defeats. And Everton’s confidence slowly returned as the game wore on with Idrissa Gueye and Morgan Schneiderlin rising to the midfield battle. Rooney’s tenacity moments after half-time saw him skip into the penalty area at the Stretford End and onto a pass from Tom Davies but David De Gea kept out the striker’s low effort with his legs. 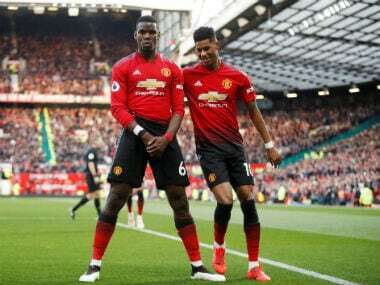 Despite Everton’s improvement United remained a threat and went close when Juan Mata curled a free-kick around the Everton wall and against the post shortly after the hour mark. United finished the contest strongly and clinically, though, as three goals after Rooney’s 82nd-minute substitution saw Everton capitulate and conceded three goals. Ashley Williams carelessly gave the ball away which allowed Lukaku to slide in Henrikh Mkhitaryan who showed composure to guide the ball past Pickford. 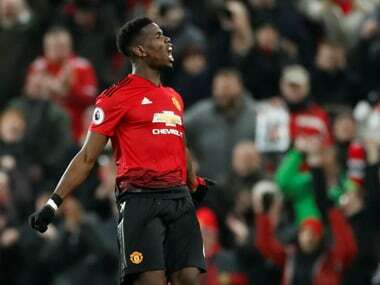 United netted their third when Lukaku, who joined United from Everton in July, capitalised on Everton’s failure to clear from a free-kick and stabbed home at the back post. Martial put the gloss on the win in injury time when he confidently sent Pickford the wrong way with a penalty after Schneiderlin was deemed to have handled.